1. Can you suggest cruise itinerary? Depending on your starting base, preferences and duration we can write you individual cruise itinerary. There are many islands, many ports, many bays, many taverns and more input you give us happier you will be in end. All cruise itineraries are written by our skippers and captains. In the end keep in mind that nature will also influence your itinerary so you might need to change your plans along the way. 2. Is catamaran insured and what does insurance cover? Yes, all the catamarans commercially operating in Croatian waters have to have insurance. They have all compulsory liability insurance and voluntary liability insurance which covers liability for collision, impact, liability toward persons who are not on board the vessel, liability toward passengers, spillage or dumping of oil. Security or damage deposit is the amount of the insurance deductible, below which the insurer does not want to reimburse the owner of the boat for any "small" damage. Prior to embarkation you will be asked to leave a security deposit or pay damage Waiver (deposit insurance). Security deposit can be left in cash or credit card. Certain amount will be reserved on your credit card and upon arrival in case there was no damage reservation will be removed. If you gave cash money your money will be returned to you. If you decide to pay damage Wiever (usually 5 % of your rental price) it will be only partially returned to weather you had damage or not. 3. What I have to pay to confirm my booking? 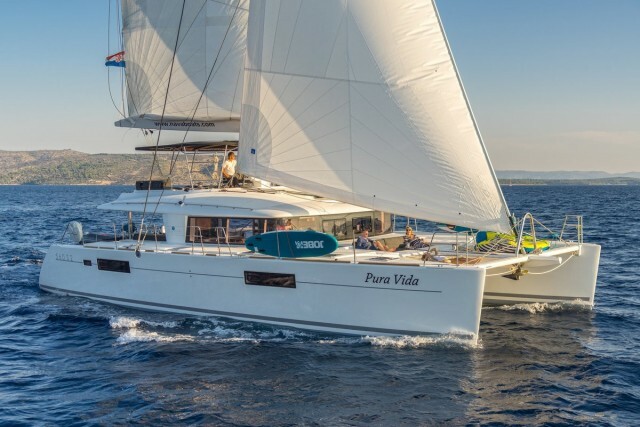 When you confirm your interest and Croatia catamaran team opens option on your name for chartering specific catamaran you will have to pay half of charter price to make it valid. Four weeks prior to charter you will have to pay second half of charter price. Balance has to be paid no later than one month before boarding catamaran. Transit log and additional equipment or crew (skipper/ hostess) are payed locally in cash. 4. What are Skipper’s responsibilities, where does skipper sleep what does he eat? What’s skippers his salary? If you don’t have sailing license or you possess one but you don’t want to bother navigation, you can always hire professional skipper. Skipper knows local navigation are, he will be your guide and bring your sailing holidays to higher level. Skipper’s responsibilities are navigation and safety on board. He knowns local weather and winds. He will keep deck tidy and clean and most important he can teach you basics of sailing and navigation. All skippers which work with our company are trusted and experienced. You have to know that the skipper is neither in charge of cooking nor washing dishes. Skipper on catamaran usually sleep in head cabin with entrance from deck or in guest cabin if one is free. Skipper eats with guests and in evening if you want to have privacy he can go separate but you have to give him certain amount of money for diner ashore. 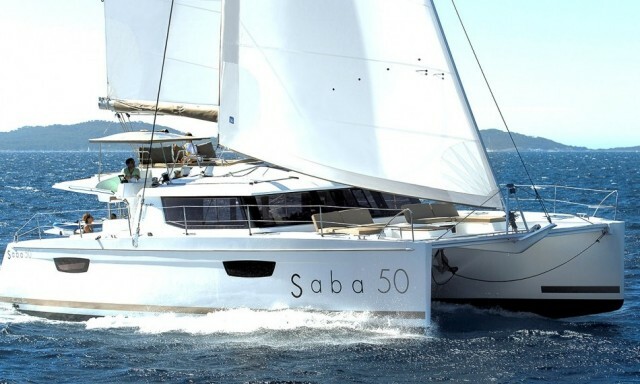 Skipper’s daily rate is form 150 Euros to 185 Euros, depending on size of catamaran. 5. What are Hostesses responsibilities, where does skipper sleep what does he eat? What’s hostess’s salary? Hostess usually goes in together with skipper but she can go also separate. Hostess is in charge to keep catamaran tidy and clean. Hostess prepares breakfast and light lunch. She is not professional cook. Dinners are eaten usually on shore. Hostess sleeps in head cabin with entrance from deck in peak of catamaran. Hostess eats same food as guests and if you go ashore for dinner she goes with guests or she can go separate but you have to give her some money. Hostess’s salary per day is from 125 Euros to 150 Euros. 6. Is there possibility to arrange for us transfer from airport to port? How much it costs? If you require transfer from airport to your catamaran we are here to help. You need to provide us with your flight information and number of persons. Some Guests use stop on way from airport to catamaran to do provisioning. In such case you need to tell us that in advance so driver can calculate time. Depending of distance between airport and port transfer price varies. When you request transfer will give you cost calculation. 7. Is it possible to have provisioning on board so we don’t waist our tome on shopping? Several companies in Croatia are specialized yacht provisioning. They usually have web shop so you can make preorder or you just send them list to buy groceries and beverage for you. You need to provide them also with time of delivery. Keep in mind that when you we not on board they will not deliver. 8. When can we embark and disembark the catamaran? Charter usually lasts from Saturday till Saturday. Check-in is usually on Saturday after 17h, although some catamarans have possibility to do the check-in earlier. This option costs extra. Keep in mind that on Saturday you have only few hours left till sunset, so keep your navigation short for that day. Check-out is don on Saturday (last day) or on Friday evening. For most catamarans we recommend arrival on Friday evening. You will need to leave catamaran on Saturday 9h when cleaning stuff and mechanics are coming onboard to prepare boat for newt charter week. 9. If I cancel my cruise what will happen? Depending on time of your cancelation, you will be charged for following fee. If you cancel your cruise 90 days prior to your departure 25 % of charter price will be charged, 89 to 60 days 50%, 59 to 30 days 75% and 29 or less 100 %. This fee is different from catamaran to catamaran so make sure to read tem and conditions before first payment. Cancellation insurance is good option to pay for. 10. Is my sailing license valid for catamaran charter? If you decide to go for bareboat charter make sure to check with us validity of your license. You can send picture/ scan on our mail and we will replay to you. There is a list of certificates that are recognized by Croatian authorities so you can make precheck. 11. Is there parking in marina? Where can I park my car? Most of Croatian marinas/ ports have big parking lots. Price is around 50 Euros per week. 12. What currency is used in Croatia? Croatia Kuna is main currency. We advise to change foreign currencies into Kunas in start of your sailing holidays. Exchange offices can be found in airport, banks or marina receptions. Credit cards are accepted all markets. Some ports only accept cask, same goes for some restaurants on islands. 13. What’s included it transit log? Final cleaning, bed linen- sheets, some catamarans are provided with basic kitchen starter kit (sponge, several kitchen cloths, dish washing liquid), gas for cooking, some catamarans have towels included in price of transit log some not. Make sure to check items which are included in your transit log so know what to buy/ bring prior to embarkation. If kids are coming on board it is necessary to inform us to prepare wright size swimming west. There is also possibility to mount safety net on railing/ fence around catamaran. Safety net cost around 50 to 100 Euros. 15. Crew list? Shall I send all personal information prior to embarkation? It is advisable to send us e-mail or trough online crew list system all personal details that are needed for crew list. What do we need: Full Name, Surname, Nationality, Date of birth and place of birth. Once we input all these information’s we will send you list to check it before confirmation. 16. Are pets allowed on catamaran? Depending on owner’s decision on some catamarans you can bring your pets on some don’t. There is extra cleaning fee to be payed when pets are on board. 17. 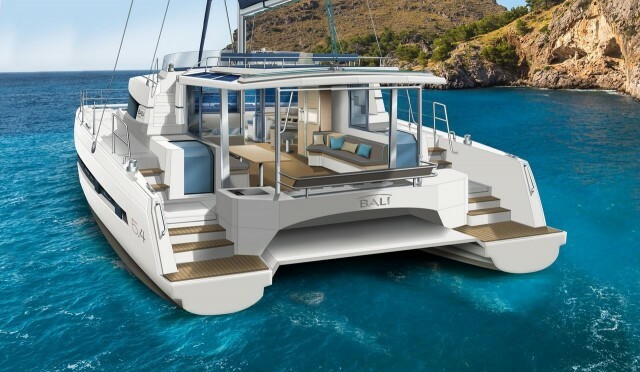 Is it possible to rent catamaran less than a week? In peek of the season charter lasts from Saturday to Saturday, although of session March- April/ September- December) shorter charter period are possible. 18. Is there a possibility to reserve berth in marinas in advance? Some marinas have online berth reservation system so you can reserve your berth. County/ city peers unfortunately don’t have such option. Port fees are different from port to port. 19. Is it possible to change Guests on board during charter week? Yes, it is although it is not advisable due to strict regulations. Every time you change people you need to contact charter office and inform them about change and provide personal information’s. New crew list has to be made. Office will send you new list on e-mail and you will have to print it somehow (marina reception). 20. Is fishing allowed? do I need a permit? Fishing in Croatia is allowed if you posses fishing licens which can be bought online. More about fishing licenses in Croatia you can fin on link.